The Next Web has written a lot about the UK startup scene over the past few years and, well, it’s fair to say that London has received a pretty big look-in. But we have also covered many fantastic startups based outside the UK capital – for example Screenreach (Newcastle), Datasift (Reading), Buffer (Birmingham), VideoBee (Sheffield), App55 (Manchester) Free Agent (Edinburgh)…and many others. But at times it may seem as though ‘UK’ and ‘London’ are used almost synonymously when discussing the country’s startup scene. As a major metropolis, so much activity naturally gravitates towards London and this is why so much is written about startups based in or around that city. You may have read about London’s Tech City, an area which the UK government is trying to transform into the UK’s version of Silicon Valley. However, we don’t want to be inward-looking. We want to look out across the country and dig deep into every nook and cranny and see what’s happening away from the Big Smoke. The UK is in a fairly unique position in that it has four capital cities across its four constituent countries – London (England), Cardiff (Wales), Belfast (Northern Ireland) and Edinburgh (Scotland). Today, we’re going to look at the latter of these countries. With a population of just over five million people, Scotland isn’t massive – in fact, London alone has almost three million more residents than the entire Scottish region. But Scotland has produced more than its fair share of innovators over the centuries. John Logie Baird developed the world’s first practical, publicly demonstrated television system, whilst Alexander Graham Bell is credited as inventing the first practical telephone. And all this before we consider Alexander Fleming (penicillin), Robert Watson-Watt (RADAR), Charles Macintosh (waterproofing), John Shepherd-Barron (ATM), John Loudon McAdam (tarmac) and the countless other Scottish innovators who have helped make the world what it is today. But as a 21st century economy with its own devolved parliament, Scotland can’t rest on its past glories. And from our perspective, we’re keen to delve a little deeper into the Scottish startup scene and look at what’s happening in tech north of the border. Any discussion about the Scottish digital scene has to involve Skyscanner, and that’s our first port of call. It’s not a startup per se in that it has been around for years, but it is Europe’s largest flight search engine and the world’s second biggest after Kayak. Skyscanner is headquartered in Edinburgh, and it’s a good starting point as we look at the Scottish startup scene. Skyscanner was founded initially in London back in 2002 by three IT professionals – Gareth Williams, Barry Smith and Bonamy Grimes. External circumstances meant that Williams, the company’s CEO, moved to Edinburgh in late 2003 and the first physical office space was opened there in 2004, thus the Scottish capital became Skyscanner’s global HQ. We caught up with Gareth Williams to get his take on the Scottish tech scene then and now. “When we first got a serviced office space in Edinburgh, it felt like there wasn’t anyone else doing Web stuff”, said Williams. “And that perhaps has been one of the biggest challenges for Scottish tech firms in recent years. There has been a lack of Web-based startups, meaning that there has been a bigger learning curve as locals didn’t have Web company experience”. That’s not to say there was a lack of technical talent in Scotland, far from it. Scotland has always had fantastic technical minds emerging from the country’s universities in Edinburgh, Glasgow, Dundee, Stirling, St. Andrews and Aberdeen. 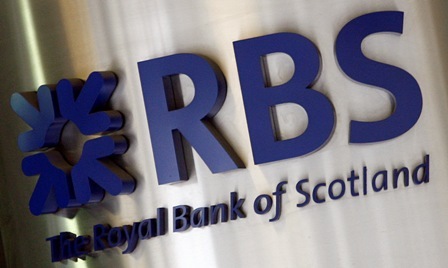 Moreover, Scotland is a major hub for financial institutions, with the Royal Bank of Scotland – which was only recently the world’s biggest bank in terms of assets and market value – and Standard Life both headquartered in Edinburgh. But this meant that many Web startups looking to recruit were faced with two choices. Recruit people from big corporate institutions who may not fit into the culture of a young startup (Williams: “You can’t have a corporate mindset if you want to innovate.”), or nab young graduates fresh out of university without the experience a tech startup may need. However, a lack of experience doesn’t have to be prohibitive. One of the reasons for so many nationalities is so that staff can ‘own’ a particular website for their native language – Skyscanner exists in 23 languages and another three will be added shortly. But one of the issues Williams identified was that IT development departments typically weren’t integrated into organizations, and the type of culture characterized in Channel 4 comedy The IT Crowd was prevalent. Geeks locked in basements and kept away from the rest of the company. Of course, this isn’t something that was unique to Scotland, but it is something that Williams was acutely aware of and understood wasn’t conducive to a healthy Web-based startup. This is why he has sought to ensure that IT development was fully integrated within the company. Skyscanner has a roughly 50/50 split between tech and non-tech staff, and integration has been vital given that the company’s raison d’être is its website. But what are the benefits of being a startup in Scotland over, say, London? “For us, there’s a real sense of pride and visibility of profile related to our success so far”, says Williams. “There’s been a lot of good will in Scotland, and from across the Edinburgh community”. So Scotland doesn’t have the same wealth of high profile tech startups as London, but when a company does succeed it stands out more, which has been great for Skyscanner. But is Skyscanner a good benchmark for the startup scene in Scotland? Moreover, is it even a startup? “I can understand someone not regarding us a startup”, says Williams. “But in my mind we are – in cultural and aspirational terms, at least. We want to get much, much bigger”. Can Skyscanner’s success help kick-start something bigger in the Scottish startup scene? Possibly, but it could do with a little help from elsewhere. “Whilst we are seeing some incubator type activity going on now, this has been lacking in the past and we definitely need more places for startups to flourish”, says Williams. “I’d also like to see some tax benefits introduced for small companies based outside of London which would provide an incentive to help balance things out a little. And I’d like to see an increase in investment in the School of Informatics at Edinburgh university”. We’ll look at the School of Informatics later. But first, Williams let slip that two former Skyscanner employees have left to work on their own startup projects, and the implications of this could lead to something bigger further down the line. Sometimes all it takes is a seed for an entire ecosystem to flourish. In this case, Skyscanner is a hugely successful company in its own right, but by giving people the chance to learn and gain experience in a Web-based, entrepreneurial environment this could benefit the wider economy in the longer term. Eilidh Donaldson joined Skyscanner in March 2007 at a time when the company had 15 employees. Beginning in a data management role, Eilidh progressed through different positions before ending up doing a sort of hybrid project management/product design role. She left in February this year, citing the company’s period of rapid growth as one of the reasons for leaving. She said: “The 12 hour days took their toll, I was burnt out”. 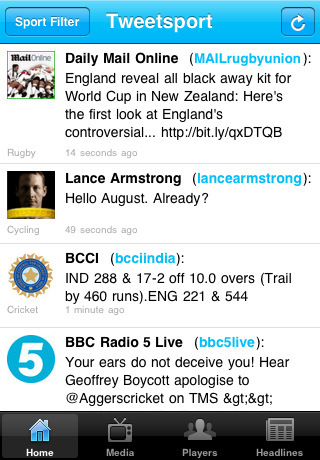 The iOS app was released last week, and using verified Twitter accounts it offers access to instant reactions of sports people and leading pundits in one stream. And what role did Skyscanner play in Eilidh’s decision to launch her own startup? Then there’s David Hilditch, who left Skyscanner in January this year to focus on his own startup. He’s now Director of Matiogi Ltd, a ‘career zen’ tool that aims to help people succeed in their careers through giving free personality tests and in-depth explanations of what companies are looking for with specific interview questions. The personality and aptitude tests are also available for use by companies in their recruitment or coaching tasks. It makes money mostly from adverts and advanced coaching materials. Whilst it is still early doors, there is some indications that by having successful Web companies, a new generation of entrepreneurs could be born. What I’m talking about is the snowball effect that the success of a handful of companies could create within the Scottish startup ecosystem. But what happens if that snowball strays south of the border? Read on. Sam Collins is from Ireland, but moved to Edinburgh to study engineering at Edinburgh University in 2004. He founded a startup called Bloop not long after graduating in 2009, though he had worked for several startups throughout his degree. Sam also co-founded TechMeetup back in 2008, an initiative to get people in the local tech scene to network and see what everyone else is working on, be it Web apps, software, mobile apps, hardware or games. It was launched initially for Edinburgh, but it has now branched out to cover Glasgow and Aberdeen too. But why did Sam move to London? So, it’s this lack of ‘early adopter’ customers that Sam says forces many local companies into adopting a service/agency model. He says: “It seems like your products aren’t getting traction, but in fact, it’s just a skewed customer base.” Sam also highlighted the lack of investment angels for tech startups, a common theme with many of the people I talked to from the Scottish startup scene. That’s an interesting proposition, in that it doesn’t attempt to change something that’s inherently difficult to change. Instead, it embraces and acknowledges London as a major metropolis and hub for digital business. Why fight against that? As a slight aside, in response to a venture capitalist who, following a visit to an event in Scotland, commented that there was no innovation happening in the local startup scene, Sam posted this blog post which is well worth a read: A letter to a depressed VC. But it’s not all bad. Sam pinpointed some positive aspects to the Scottish startup scene, for example it’s a very tight-knit community and the incredible support network amongst developers and startups is particularly notable. And he also pointed to the tech talent Scotland has, which he believes is higher than average thanks to the work going on at Edinburgh University, and with companies such as Skyscanner in the area. The Next Web covered a great little startup called Said.fm back in February. It was a platform for discovering “spoken-word podcasts that tell great stories”, as we described it at the time. Abdel Saleh was born in Derby, moved to the UAE with his parents and moved back to the UK to study Software Engineering at Napier University in Edinburgh in 1998. Abdel was quick to highlight the role TechMeetup played in bringing a startup culture into Edinburgh. At the meetups, they would often get people along from places such as Edinburgh University to talk about areas of research and other projects they were working on. Edinburgh University also had the Stanford Link, a £6 million research, training and commercialization project funded by Scottish Enterprise which was designed to help build relationships with Standford University in California. This led to a series of startup business lectures in Edinburgh University, which brought over people such as Reddit founder Alexis Ohanian. So how did Abdel and Aisha fund Said.fm? Good old-fashioned bootstrapping, switching between part-time and contract work for a few months at a time, before going back to work on their project full-time, a ‘funding model’ that’s also being adopted for their new SuperOwl project in London. Whilst there are clearly some things that could be done to help encourage startups in Scotland, it seems there are some aspects of startup life in Edinburgh, and across Scotland, that will always be at a disadvantage simply due to its size. Startups need to go where the users are. Edinburgh may be the Scottish capital, but Glasgow is the most populated city in Scotland – and the third largest in the UK. We first reported on Glasgow-based startup Kiltr last year, describing it as like a ‘LinkedIn for Scottish people’. To summarise, it’s a social network designed for Scots, affinity Scots, and business owners across the globe looking to tap into the Scottish market. We caught up with Brian Hughes, one of Kiltr’s founders, to see what’s new and to get his take on Scotland’s startup scene. Kiltr’s new offices are located in Glasgow’s West End area, close to the city’s university, though Hughes himself now lives an hour away in Fife. Despite being on the go for the best part of a year, Kiltr is still in the beta testing phase with the full version set to be launched in early 2012. “So it’s all hands on deck to develop functionality, liaising with investors, driving user growth and revenue streams”, says Hughes. So there are investment and support mechanisms in place once a business is off the ground, but there are gaps at the very early stages, with what Hughes referred to as “red tape” around the support to get very early stage Scottish startups off the ground. And there needs to be “less risk averse” VCs in Scotland too, says Hughes. I also spoke with Michael Hayes, a Computer Science graduate from Strathclyde University in Glasgow. He has been heavily involved in the local startup scene, having been part of the founding team at Dizeo, a “safe social network for children”. Recently, he’s been prototyping startup ideas and he’s been blogging at RookieOven with a view towards creating a stronger startup community in Glasgow and across Scotland. He’s also about to take over the curator’s role at Startup Digest for Scotland. In Glasgow at least, it seems there are a lot of people trying to get things off the ground, but they’re still a long way from having the same level of incubators, investors and support networks that London has. Everyone I spoke with about the Scottish startup scene had warm praise for the technical talent in Scotland, and the one institution that was continuously mentioned by nearly everyone was Edinburgh University’s School of Informatics, based at Appleton Tower in the center of the city. The school is the biggest computer research conglomeration in Europe, with around 500 academic and research staff, and it’s apparently the best in the UK by a clear factor of 2, according to the last two UK Government Research Assessment exercises. The School of Informatics spends more than £12M each year on pure research, and the school is funded through a number of ways – such as the Scottish Funding Council, various research funding agencies and industry partners. I spoke with Colin Adams, Director of Commercialization at the School of Informatics, to get his take on life inside the innovation factory at Appleton Tower. He told me that the school has produced 37 spin-outs and startups over the past four years (see ’12 Scottish startups’ below). As an academic Institution, there is only so much the School of Informatics can do to support the startup scene, but what it is striving to do is create the one key ingredient all thriving tech scenes have – a cluster. So we’ve looked at the likes of Skyscanner and Kiltr in Scotland, and heard from some of the key people involved in the Scottish startup scene. But to help get a clearer picture of where the Scottish tech startup scene is just now, it will be useful to look at some of the young companies currently plying their trade in Scotland. Hubdub Ltd is a developer of online skills based games, its main product being FanDuel, a social fantasy sports game. FanDuel focuses on fantasy leagues for sports in the US, and they last just one day. The company was born out of Appleton Tower at Edinburgh University, and it also has an office in San Francisco. 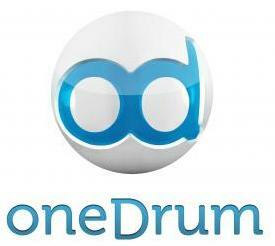 Based in Stirling, OneDrum is a desktop application that enables users to collaborate on Microsoft Office documents. The application lets users share/synchronize files across multiple machines and edit documents in real-time, whilst seeing the changes each other are making. It also has an in-document chat feature. HuzuTech is a Glasgow-based social gaming studio and social gaming platform development company. Launched in 2010, HuzuTech works with brands and publishers looking to create virtual worlds and social games. Zendit is based in Dunfermline, and it was founded by Steven Wexelstein and Kevin Bradshaw. It’s a platform that helps users shoot, store and share images and video, with auto-upload functionality and unlimited cloud-based storage. The iOS app is now available to download for free. Moviecom.tv is a ‘video social network’ for businesses. The Glasgow-based startup enables brands to create a personalized account for their business to use as a sales, marketing and revenue-generating tool. Zoom2Work is an Edinburgh-based startup, and its online car-pooling platform connects neighbours who work in the same organisation. This is done through a secure, closed social network which overcomes the major barrier to carpooling: incomplete information. It builds a social graph of people and their addresses within a community and Zoom2Work uncovers proximity connections between people. Tenbu Technologies is an Edinburgh-based product development company that launched its first product, nio, back in September 2009. It’s a loss prevention system for smartphones and has sold in over 25 countries, winning a number of awards for innovation. The nio acts like a “Bluetooth tether” that can be used to protect a wide range of items from laptops and briefcases, to data sticks and car keys. Vidiowiki is another project born from Edinburgh University’s School of Informatics. The aim of Vidiowiki is to help academics distribute research through mini research trailers, and can be used to help share knowledge or help identify useful crossovers between different areas of research around the world. When users find topics they’d like to learn more about, they follow the links to the research. MyPolice is a Glasgow-based startup, which is currently piloting in the Tayside area of Scotland. 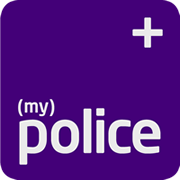 MyPolice is an online feedback tool that’s designed to foster constructive, collaborative communication between the public and and the police. Spinsight was founded in 2008, and is another spin-out from Edinburgh University’s Informatics department. Spinsight facilitates the real-time analysis of sports events, through enabling and automating the analysis of video content. Its service is based on its object tracking technology which monitors the behaviours of objects on a sports pitch to establish performance metrics. SoDash is an Edinburgh-based social media startup, a spin-out from Artificial Intelligence (AI) specialists Winterwell. SoDash helps organisations to manage their activity on social media sites such as Twitter and Facebook, and seeks to better enable companies to make sense of the deluge of data from across the social sphere. It recently announced it is to receive up to £500,000 from the Sandpit, a London-based incubator and sales accelerator. The Float Yard is the Edinburgh-based company behind Float, a cash-flow forecasting tool for small businesses. Float shows business owners how things may look in the future and can help identify potential issues, perhaps relating to seasonality, in a business. The vision behind Float is to make forecasting accessible for small business owners and help them avoid sleepless nights, painful spreadsheets and, ultimately, running out of money. There has been a lot of information and perspectives to take on board here, so how do we make sense of it all? Does the UK have room for two startup epicentres, or will all roads eventually lead to London for new tech companies? As we’ve seen already, there is already plenty of activity going on outside the UK capital, but it’s clusters that really help to make companies flourish. London has Silicon Roundabout, Cambridge has its very own burgeoning Silicon Fen, and now as we’ve seen in Scotland, Appleton Tower at Edinburgh University is producing some very exciting projects and companies. Then there’s initiatives such as TechMeetup and Rookie Oven, which are helping to bring budding entrepreneurs together to collaborate, share ideas and discuss how they plan to take their respective markets by storm. I spoke with Christian Arno, founder of Lingo24, an online translation company that started life in Aberdeen back in 2001, and which is now headquartered in Edinburgh. Today, Lingo24 has a turnover of £6m, and 170 people working across four continents. “Scottish startups need more government support, both financial and promotional, for the foreign language Internet”, says Arno. “This will offer a real opportunity to build Scottish exports. And if we can develop closer links with Silicon Valley investors, I think this could help Scottish startups considerably”. And Arno hit on a key point about what could really help kick-start the Scottish startup scene. “There are some huge successes like Skyscanner who’ve been backed locally”, says Arno. “But we just need more of those types of company and more mainstream recognition that new tech is one of the greatest opportunities Scotland has”. Skyscanner is one of Scotland’s biggest startup success stories in recent years. As we saw, there are signs that the skills people pick up working at such companies can lead to off-shoots – and this is something that could bode very well for the Scottish startup ecosystem. But as Arno says, Scotland needs more of these kinds of companies, and there’s no real reason why more can’t emerge. There’s the technical talent and entrepreneurial spirit, and it seems all that could be lacking is more seed funding to help innovative projects develop beyond alpha, through beta and into the global marketplace. 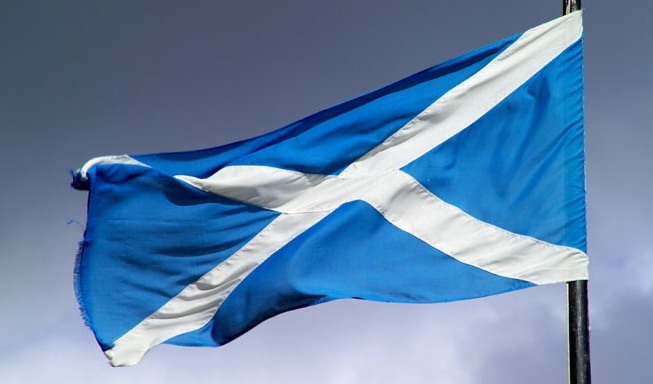 Despite many of the ingredients already in place for Scotland’s digital economy to thrive, there are inherent problems that aren’t easy to fix. As we saw, Scotland has a small population which isn’t ideal for young startups that may need a large, early adopter user base. So rather than fighting against the lure of London, mechanisms should be put in place that makes it easier for startups outside the UK capital to tap into London’s resources. The general consensus was that Scotland needs more investment angels and seed funding programmes for early stage startups, as well as accelerator programmes similar to Y Combinator or Springboard. The old adage that success breeds success certainly rings true as far as digital businesses are concerned, so more effort is needed to encourage proper clusters for digital businesses, as we’re seeing with the investment being made around Silicon Roundabout in London. Could Scotland start churning out multi-billion dollar digital companies such as Google? Or what about companies such as Spotify? There’s no real reason why not, but it’s worth noting that even London doesn’t typically produce many of these type of companies. So a more realistic, immediate goal should perhaps be helping to develop more multimillion pound, medium-sized digital businesses such as Skyscanner.